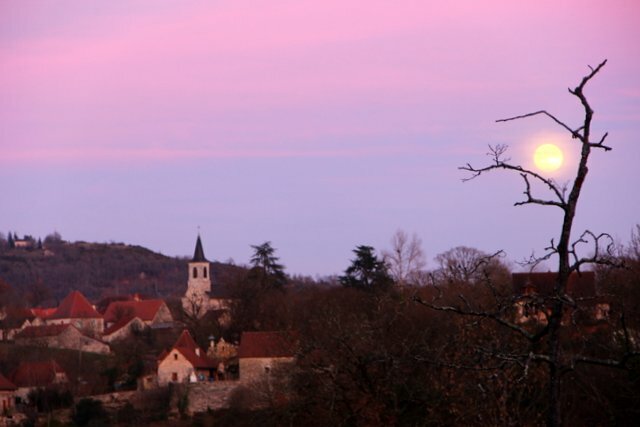 This was the view from my upstairs window on Christmas Eve as the moon rose over Saujac. 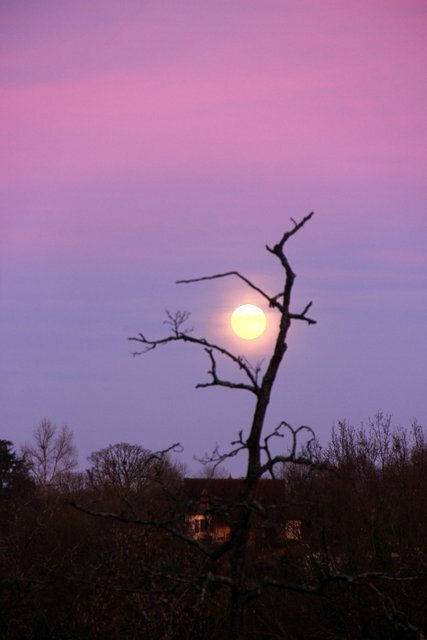 The muted pinks and lavenders of sunset blended perfectly with the luminous moon veiled by a whisper-thin layer of clouds along the horizon. It murmured 'peace on Earth, goodwill towards men' to me.